This year we take you on a world tour without leaving Galveston. 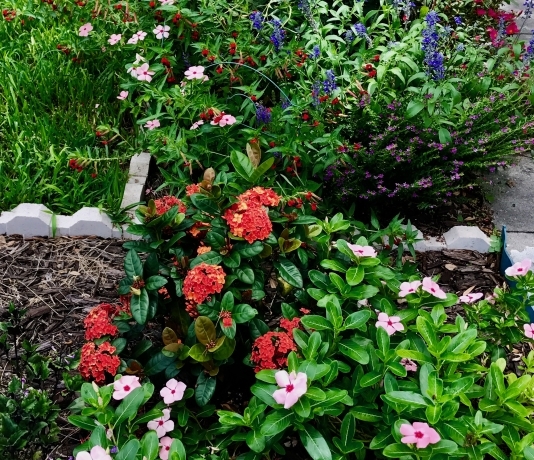 As you enjoy the eight venues, notice the contrasting themes: traditional/hydroponics; trees/flowers; plants/animals; formal/informal; visual/edible; home/commercial; tropical/temperate; and hardscape/landscape. Starting in the Deep South, we have Natchez White crepe myrtles. 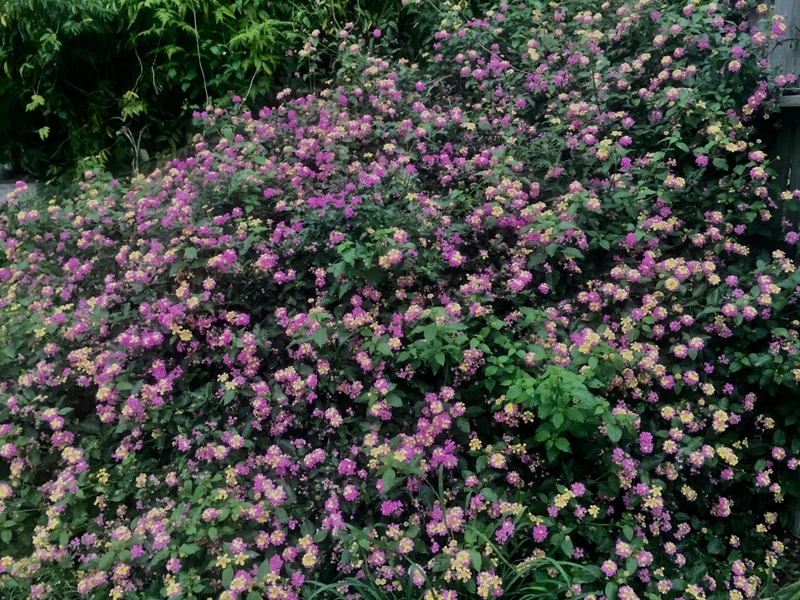 Also in this Ball St. garden look for Musical Notes, and Butterfly Clerodendrum. Notice the mini curbs discovered during restoration and the vintage Andy Cordell “reds” to match the existing brick. Continuing east to Spain, the Texas Master Gardener on Church St, is growing many fruit trees including Valencia oranges. Juxtaposed with all the plants (love the staghorn ferns and epiphytes exora) are herbs, vegetables, hens, hen house, and grazing run. 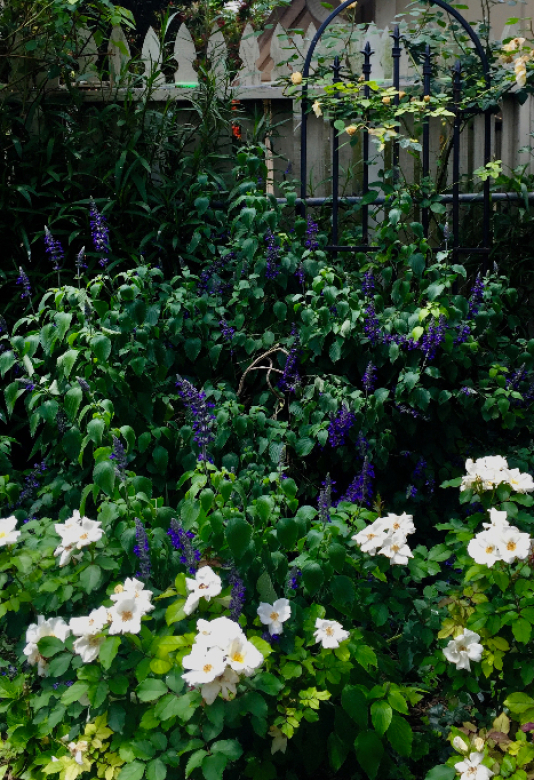 Another garden on Ball Street takes us to a formal Italian courtyard landscaped with Italian cypress trees. (This is the durable, scented wood that the doors of St. Peter’s Basilica in Vatican City are made from.) Enjoy sitting in the wrought iron furniture while enjoying the fountain and herringbone pattern of the red brick path. 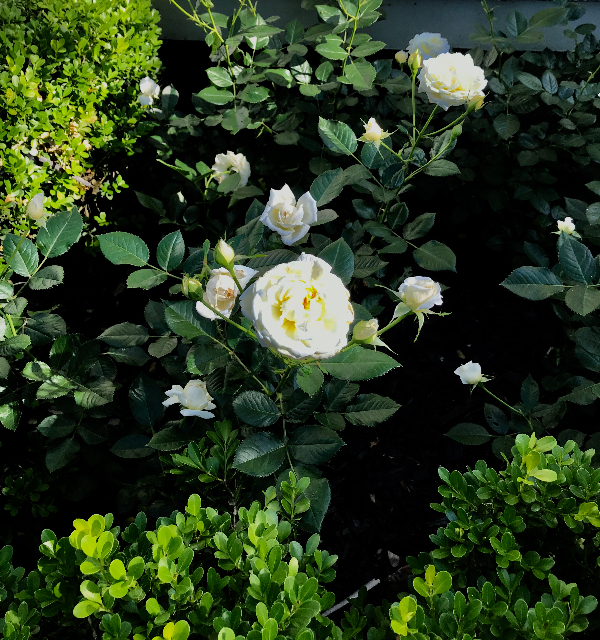 Japanese boxwood are featured in our Sealy garden along with dipladenia, roses, bougainvillea, and several varieties of sage. Don’t miss the giant leopard plants in the front gardens alongside a relic from the Buccaneer Hotel. The Empire bamboo at the House of Five Porches (16th Street) are the tallest on the island. 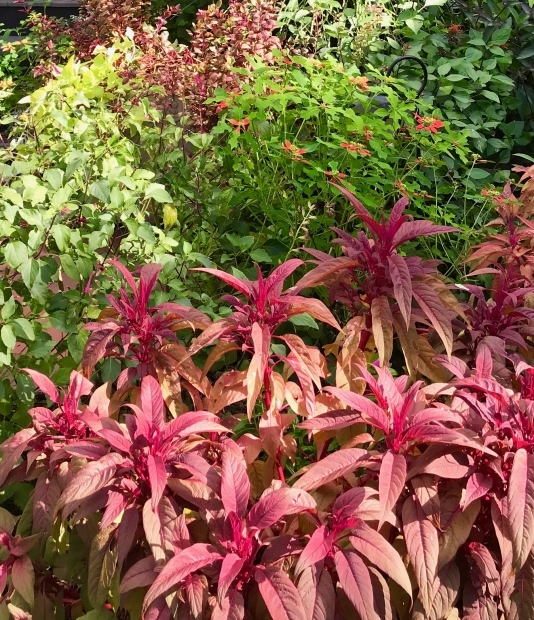 Appreciate the variety of brilliant greens in the variegated ginger and lilies. The edible landscape is functional and unique, with banana trees, lemon tree, and muscadine grapes. In our Winnie garden we find Easter Island Moai, the famous after-Ike tree sculpture by local artist James Phillips. The night blooming cereus cactus pairs well with the philodendron. 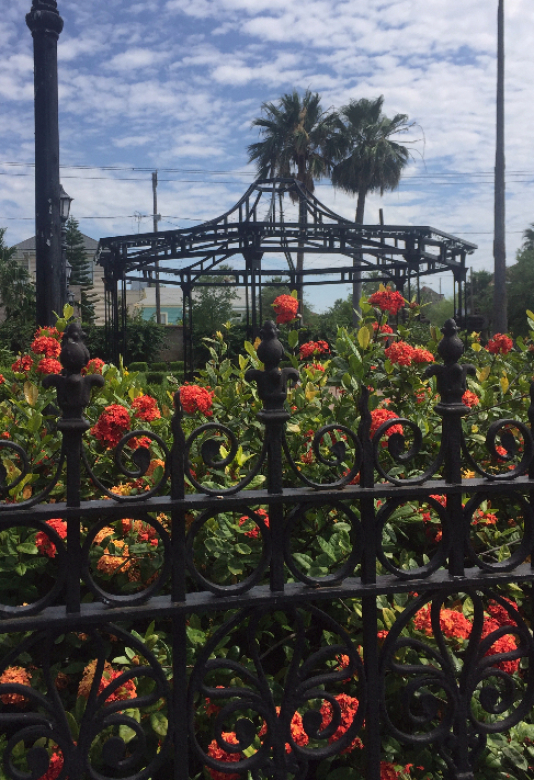 Back where we started, the garden on Church exemplifies Galveston’s tropical splendor. The hedges of jasmine are eight feet high. The shade-providing large oak has the distinction of being one of the very few in this area which survived Ike. The $15 ticket includes the highly popular Backyard Arts and Crafts Market, with Silent Auction, initiated last year, and may be purchased starting September 1st at Tom’s Thumb Nursery (2014 45th St.) or on the day of the tour at 1501 Post Office (where you must collect wristbands.) Tour is 9 a.m. to 4 p.m., rain or shine. 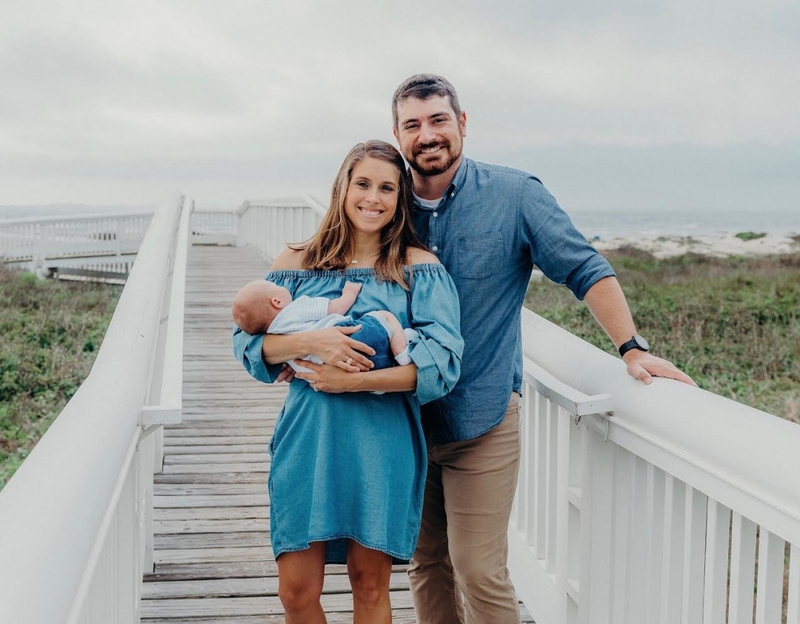 Ryan: I became interested in the East End after my wife, Rachel, and I decided to call Galveston home. My wife works on island and I work in Houston, so we had to decide if we were going to live in Houston, Galveston or somewhere in the middle. Neither of us really wanted a suburban lifesytle, let alone a Houston suburban lifestyle. So we chose to live in Galveston and the choice was easy. I have always had an admiration for traditional building techniques, early American architecture, and a desire to own an historic home (a prospect which terrified us to a degree). 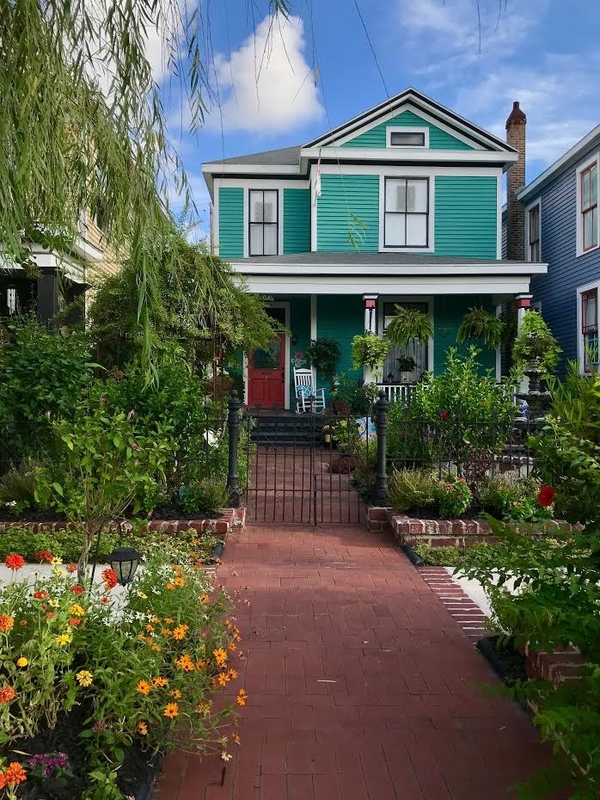 This combined with the great walkability of the East End made the neighborhood the only place I would consider living in Galveston. This restricted home search criteria made for a lengthy search that drove my wife and realtor crazy, but the wait was worth it and we are very happy to call the East End home. Ryan: Rachel and I purchased a 1912 Edmund J. Cordray home. Originally built and appearing on property records as a rental property with Cordray as the owner. 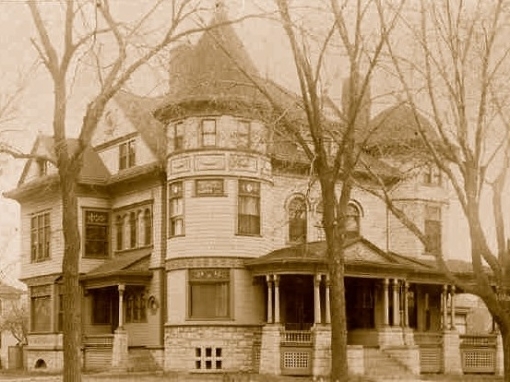 Cordray was a pharmacist and owned and operated the Cordray Drug Store once located at the site of the East End Cottage. 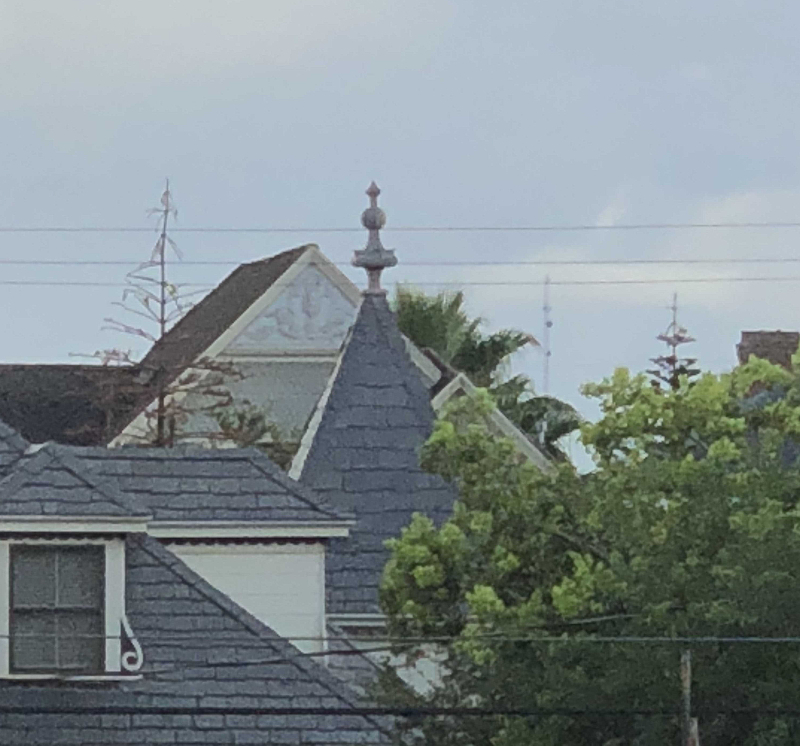 The house was rented from 1919 to 1941 to a variety of tenants including the Alpha Kappa Kappa medical fraternity, a mechanic, a bookkeeper and a manager at the Galveston Piano Company. 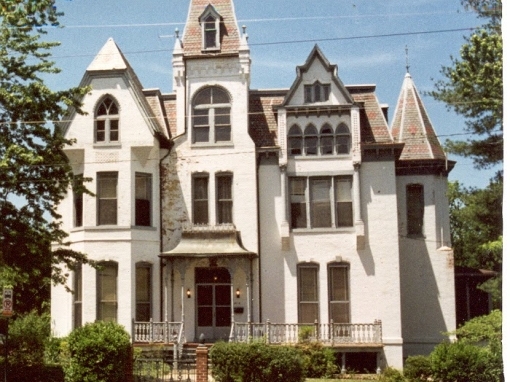 Cordray’s daughter Florence moved into the home in 1941 and lived here until 1985. Rachel and I purchased the home in 2016 and have been slowly rehabing and making it our own since. The home is a combination of Colonial Revival and Craftsman architecture. Its realitively open mainfloor, high ceilings and tons of natural light made this home a good fit for our growing family. 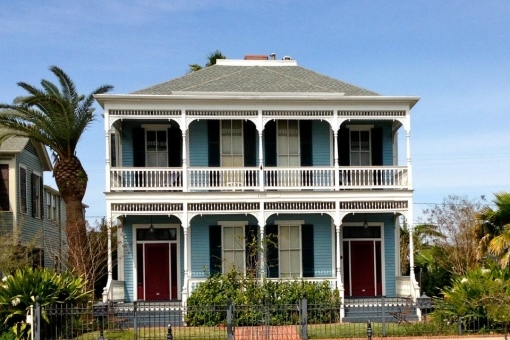 How to research the history of your historic Galveston home. 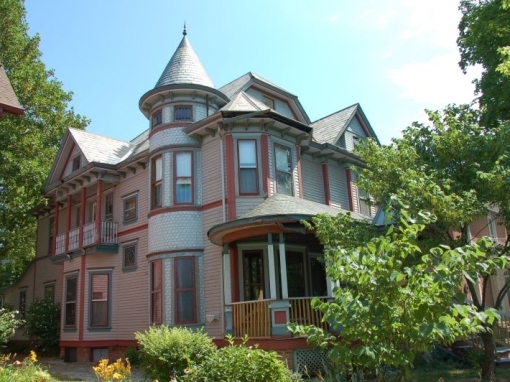 Need some inspiration in the ongoing effort to restore and then maintain a Victorian house? These six homeowners write about their restoration projects with humor, pain and pride. All are truly entertaining reads that provide valuable insight from reno-philes across the country. 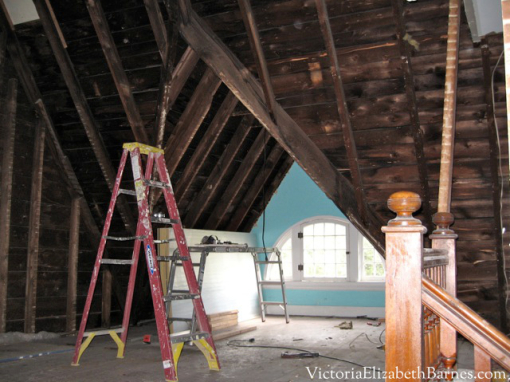 The (mis)adventures of a pediatric nurse practitioner and a corporate attorney as they roll up their sleeves and tackle the restoration of an 1874 Victorian Gothic mansion in Danville, Virginia. It's taken longer than expected--they are in the 15th year of a five-year renovation. Amy and Doug Heavily both have big jobs-,-she is a conductor and teacher and he is a software engineer. 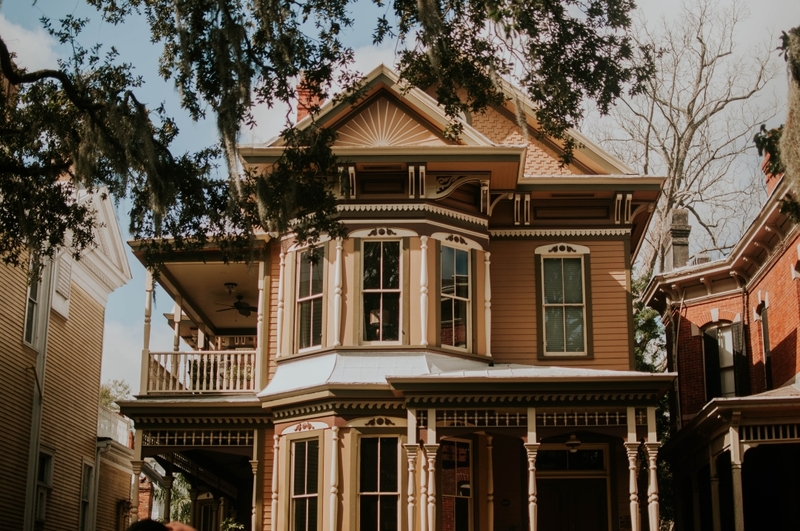 In their spare time, the couple is renovating what they lovingly refer to as their "forever home", the historic Murray Bryant House in Franklin, Ohio. 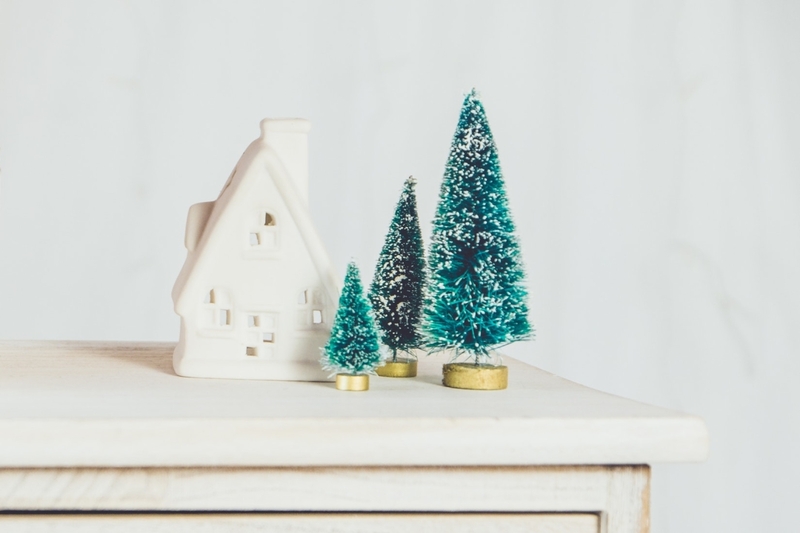 Amy writes: "Doug and I started by falling in love with old houses, and not wanting to pay for things we thought we could do ourselves – I mean, if we failed, we could always call someone. I am the imagination, the drive, and the vision. He is the practicality, the sense, and the knowledge. It’s a great team." What Ross MacTaggert calls "The Great Real Estate Search" began as a space issue. His business, a vintage light restoration company called The Old Above, was growing quickly and needed a home. Ross ended up with more space than he bargained when he fell in love with the 1894 Cross House, a 9,000 square foot home in Emporia, Kansas. 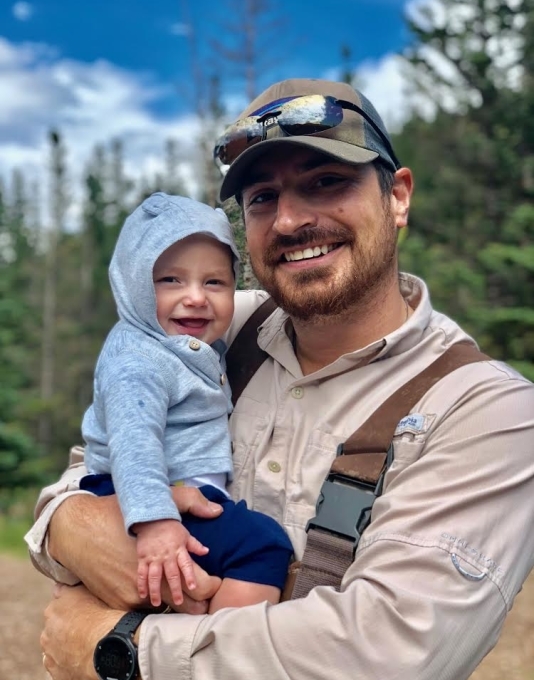 Ross said he was “awestruck and mesmerized with a desperate, aching, yearning to be a part of its resurrection.” He writes about his ongoing project with great warmth and hope. 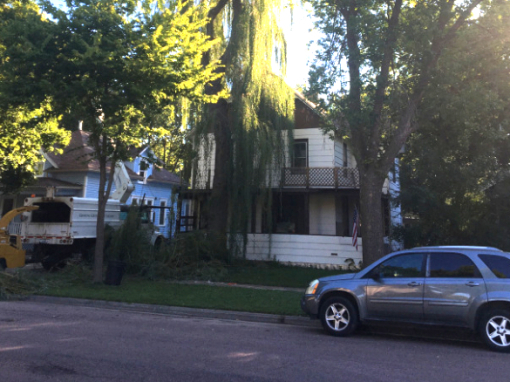 When Rachel Meyerink first laid eyes on her 1889 Victorian in Sioux Falls, it was hiding behind a giant Weeping Willow and underneath two layers of siding and 1960s era additions. "One of the happiest moments of our restoration careers was uncovering the original columns and siding," she writes. Though it can be painful to read step-by-step. you know in the end, it will work out beautifully. After meeting in college, David and Lynne Sade married in 2011. 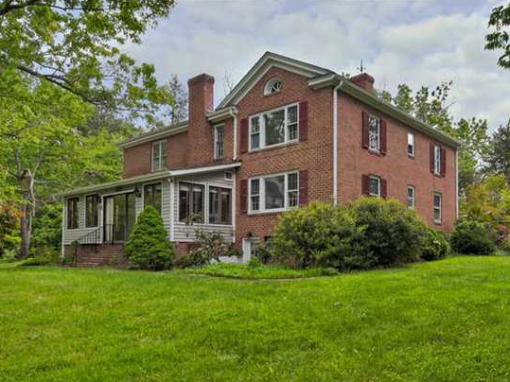 Two years later, they found their dream home-- an 1850 farmhouse on five acres near Charlottesville, Virginia. But, there was a hitch in their happily ever after. "Almost every single room will need moderate to major renovation," she writes. "The beauty of this problem is we have the opportunity to make the house our very own." Congratulations to Ronna and Bob Stults at 1221 Winnie for having the “East End Yard of the Month” for September. 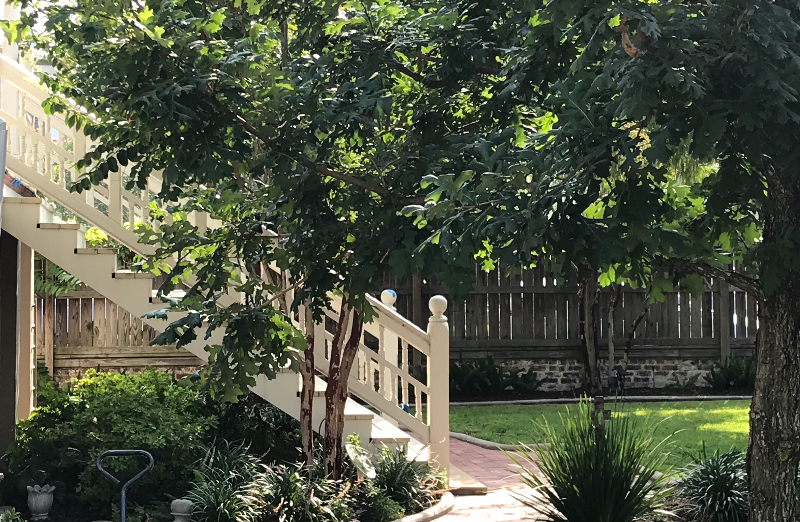 Even in the withering heat of the summer months, the Stults keep a pristine garden. It's always blooming. 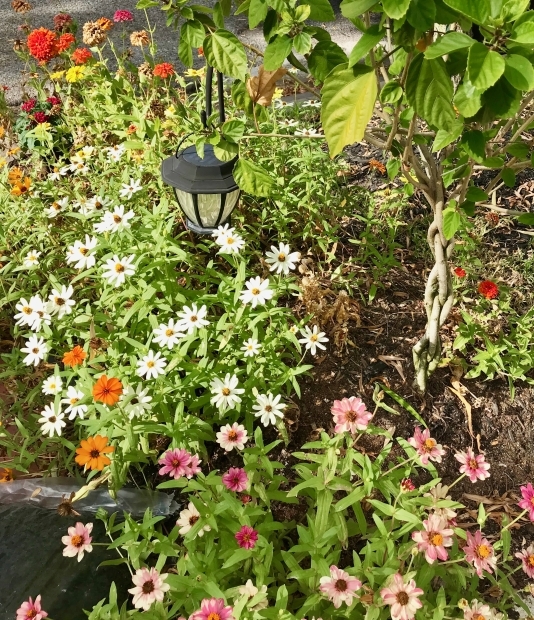 The front garden is picturesque and relaxing with water features and colors that stimulate the senses. 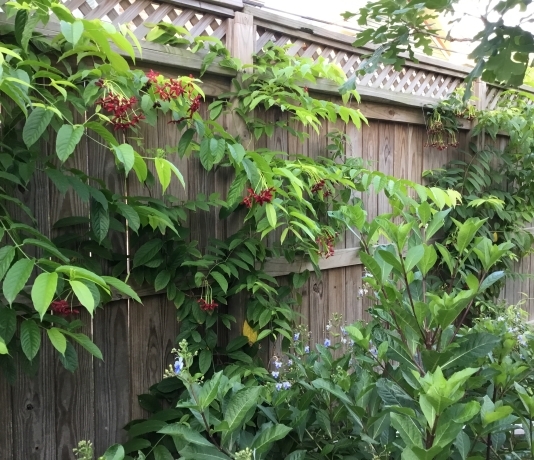 Ronna finds gardening therapeutic and she is constantly trying new plants in the front and back yards since the couple bought their East End house nearly five years ago. 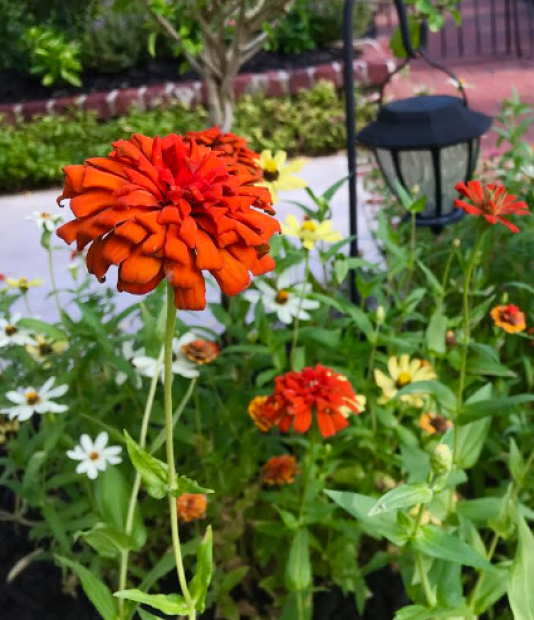 "I am by no means a horticulturist, but since moving to Galveston, we are learning what plants thrive and which do not. It is a constant learning experience,” she said. 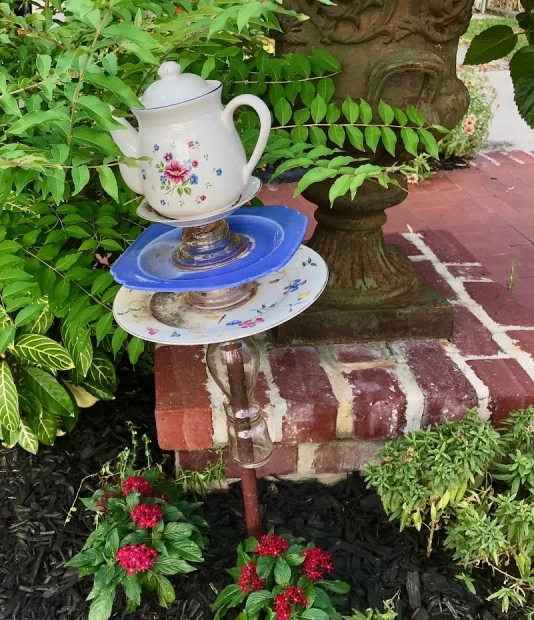 The couple spends more time traveling in the summer, visiting family and escaping the heat, so it takes a lot of effort to keep the yard looking fresh. Ronna can often be found working in the yard, and Bob provides the help and support that she needs. 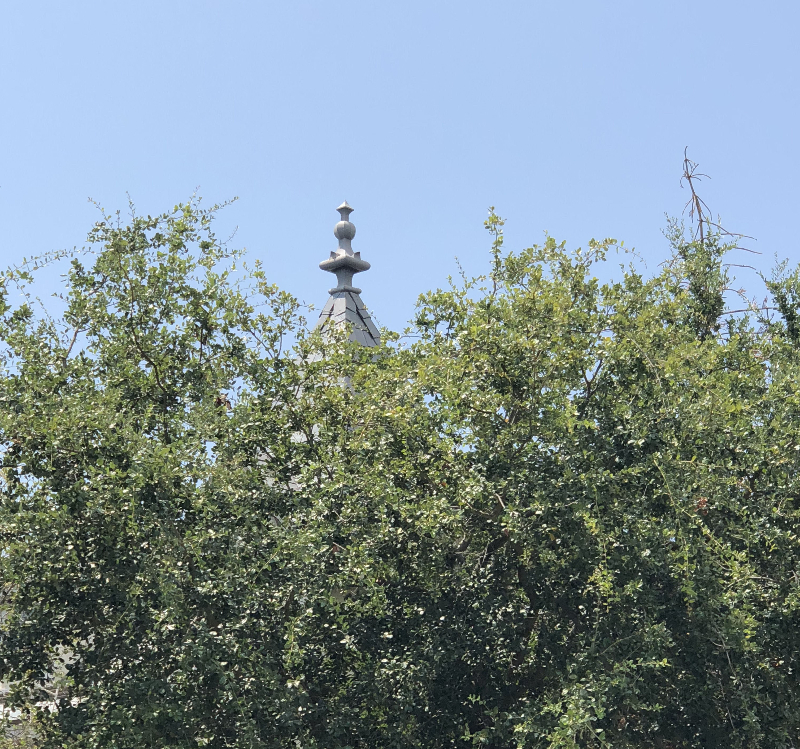 You will need to search the skyline behind some rapidly maturing oak trees to find this elaborate pinnacle: highly unusual for a residential building. 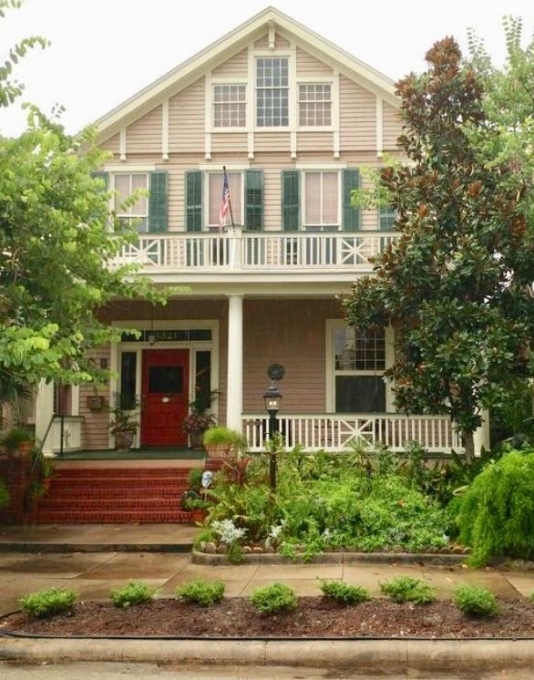 The arched front door and windows, crowned by wooden pediments, open on to the front porch of the house at 1122 Sealy. 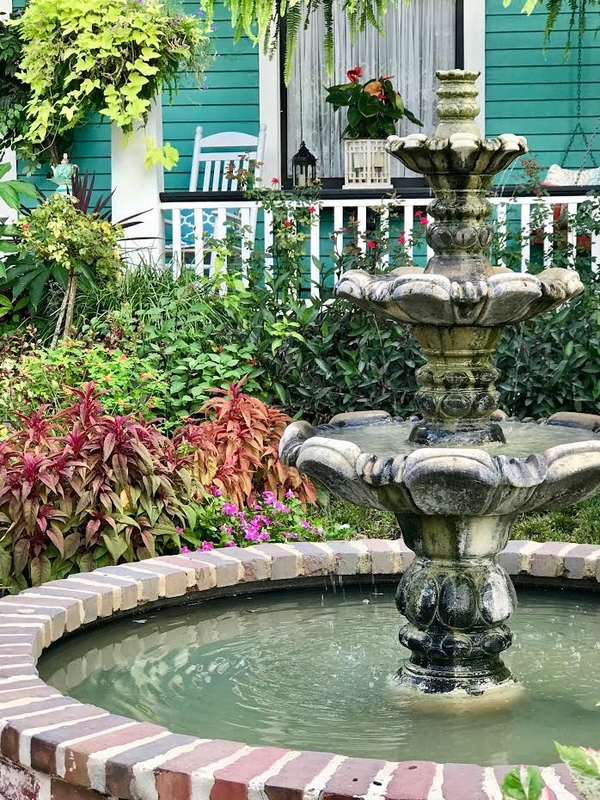 The Bryan Museum will host a series of interesting guests in the coming months including Stan Blazyk, Galveston’s unofficial weatherman, lifelong climate enthusiast, and author of A Century of Galveston Weather. 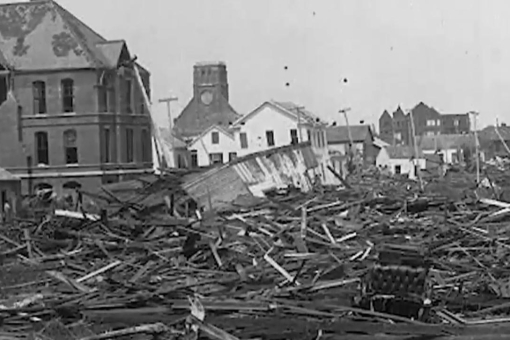 Blazyk will discuss the resilience and response of Galvestonians to the 1900, 1915, and 1943 hurricanes, and Hurricanes Carla and Ike. 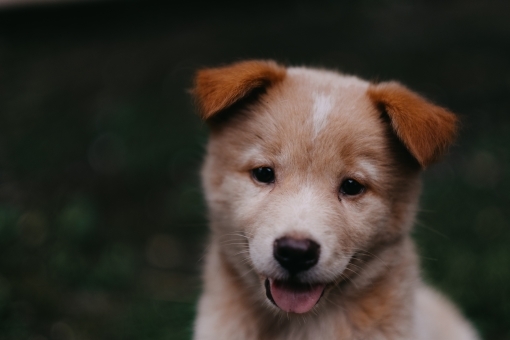 The theme for this popular party, which benefits the Galveston Island Humane Society, is CRUISIN' the PAW-ribbean and will feature special honoree Francisco "PACO" (aka PAWco) Vargas. Guests will enjoy open bar, a seated dinner, dancing and a silent auction. 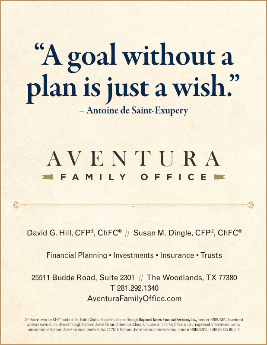 For information on sponsorships and to purchase tickets, call 409.740.1919. 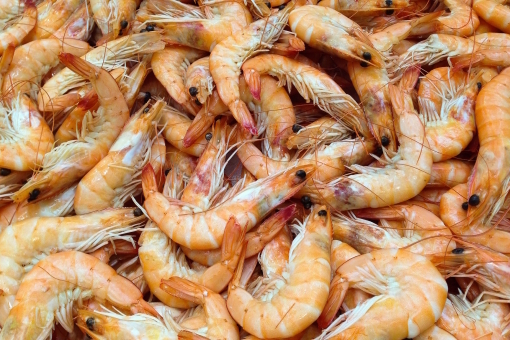 Calling all foodies--celebrate local seafood at the Galveston Island Shrimp Festival, which will feature some of the best shrimp gumbo the Gulf Coast has to offer. 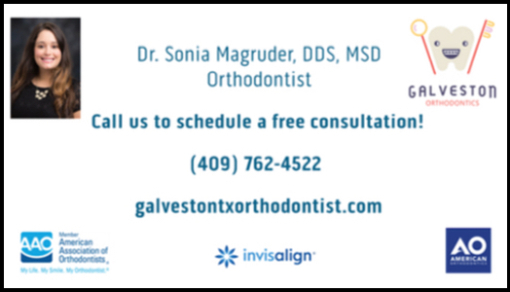 Events include a Texas-size shrimp dinner, 5K, the Lil’ Shrimps Parade with festive floats, marching band and bead tossing, vendor exhibits, live music and gumbo cook-off. Visitors to the festival will be able to purchase a gumbo sampling cup in advance for $10. 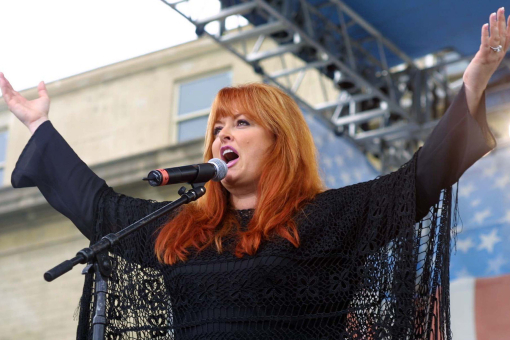 Respected by millions of fans who are drawn to her music and undeniable talent, Wynonna Judd’s rich and commanding voice was dubbed by Rolling Stone as “the greatest female country singer since Patsy Cline.” Wynonna appears with her great backup band, The Big Noise, led by her husband/drummer/producer, Cactus Moser. Get ready for an evening filled with country, Americana, blues, soul and rock!